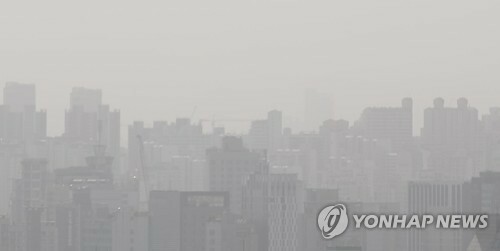 SEOUL, May 6 (Yonhap) — The worst fine dust of 2017 blanketed much of South Korea on Saturday, as the authorities issued health warnings against the sandy, chemical-laden wind from China. At 9 a.m., Seoul’s atmospheric concentration levels of “particulate matter (PM)-10” pollutants reached 235 ㎍/㎥. Regions in the southern and eastern parts of the nation weren’t immune, as Busan, some 450 kilometers southeast of Seoul, had a PM-10 reading of 226 ㎍/㎥. Saturday is the second day of a three-day weekend, which began with Children’s Day on Friday. With poor air conditions apparently keeping many indoors, major highways were relatively empty in the morning hours, according to the Korea Expressway Corp.